I believe I am missing some parts to attach seat to base (whaletale). I have the 2 pins at the tank end of seat but there is nothing at the rear. 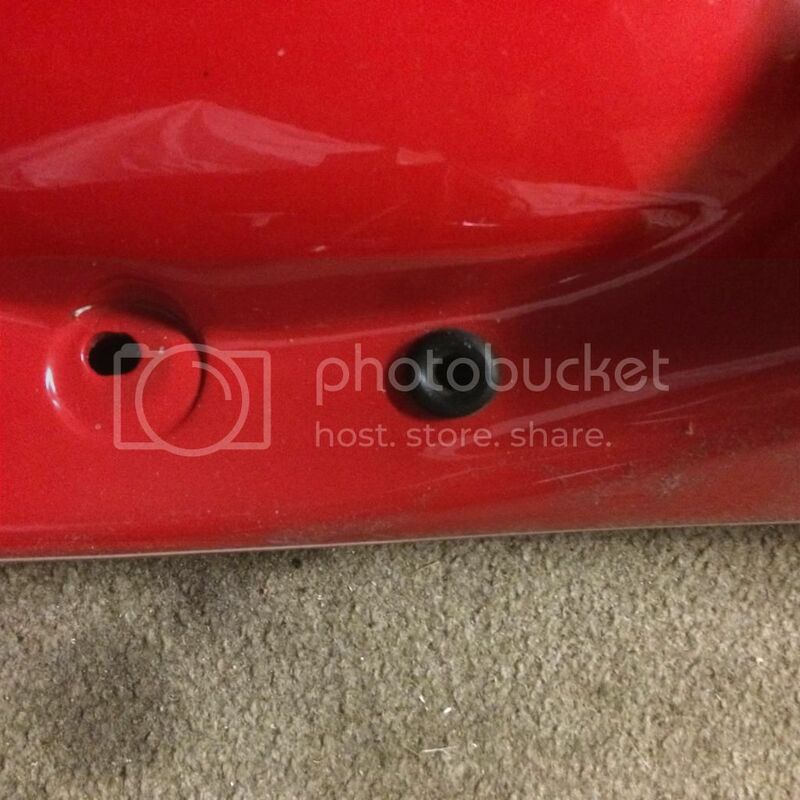 Could someone please take a photo of the underneath side of their seat and the top of the base.The parts manual I have is not real clear but it would appear I am missing some spacers and pins? Any help would be appreciated, thanks. there is a couple of little tubes welded to the frame that bolts pass up through into the seat base on Darmahs. They aren't right at the back of the seat but just behind the shockie mounts. There is two little steel plates riveted to the fibreglass seat base under the seat foam with a 6mm threaded hole which line up with the tubes the bolts pass through. 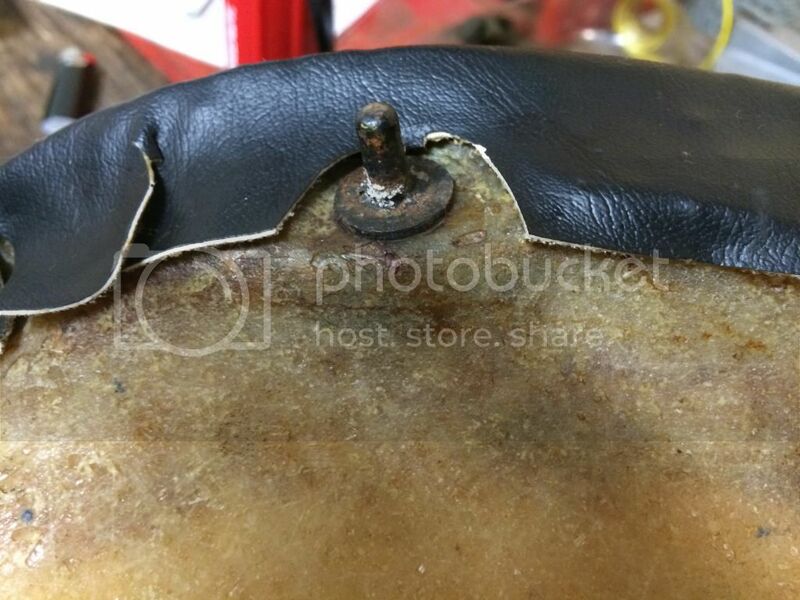 If the bolts have been cross threaded or rusty they break the glass out around the plate and you have to take the seat cover and foam off to repair them. I just did it, replaced the plates with bigger ones and went to 8mm bolts. These are probably what you are talking about. (0801.85.040). They pushed into some grommets on the whale tail. Thank you both Kev and Spagjet. The photos made it clear what I am missing.